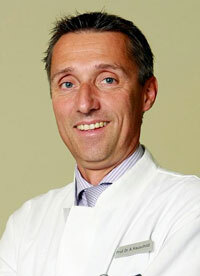 The European Medicines Agency’s Committee for Medicinal Products for Human Use (CHMP) has recommended approval of the combination of dabrafenib (Tafinlar) and trametinib (Mekinist) for the adjuvant treatment of adult patients with BRAF V600E– or V600K–positive stage III melanoma following complete resection. The CHMP recommendation is based on findings from the phase III COMBI-AD study, in which adjuvant treatment with dabrafenib and trametinib reduced the risk of relapse or death by 53% compared with placebo for patients with BRAF-mutant stage III melanoma.1,2 After a median follow-up of 2.8 years, the 3-year relapse-free survival (RFS) rate with dabrafenib and trametinib was 58% compared with 39% for placebo (HR, 0.47; 95% CI, 0.39-0.58; P <.001). The dabrafenib/trametinib application will now be reviewed by the European Commission for a final decision on whether the regimen will be approved for this indication in the European Union. “These relapse-free survival results are unprecedented," COMBI-AD lead investigator Axel Hauschild, MD, PhD, professor of Dermatology, University Hospital Schleswig-Holstein, in Kiel, Germany, said in a statement. "The overall survival improvements also demonstrated by Tafinlar in combination with Mekinist, among other key secondary endpoints, are encouraging in the treatment of stage III BRAF V600E/K mutation–positive melanoma. Adjuvant treatment options are critical for this patient community at risk for recurrence," added Hauschild.